I’ve heard of Bedrock being a real place and I have always wanted to go! But, I never took action to actually find where it was. How many of you have done that too? It wasn’t until a drive from Sedona, Arizona to The Grand Canyon that I happened to see it on the side of the road and go! Isn’t that the best? When you find something on the side of the road and you feel like a little kid? 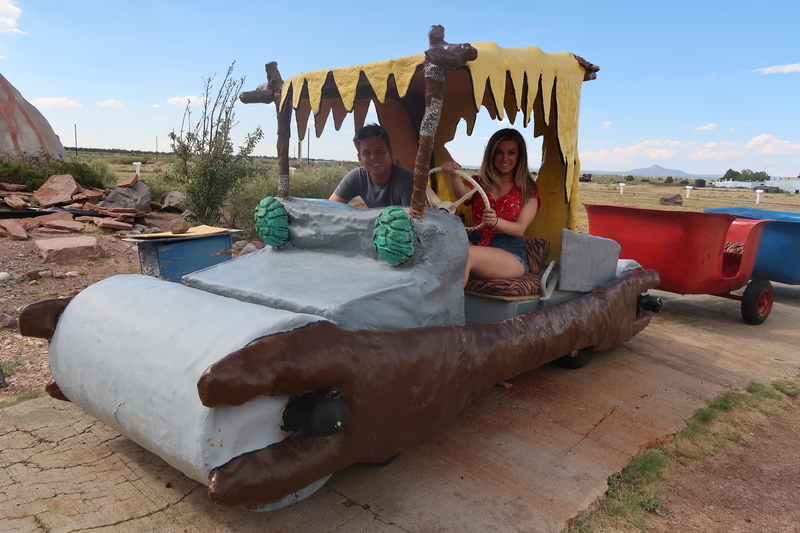 That’s exactly what this was like, and even better, I was going to meet The Flintstones! 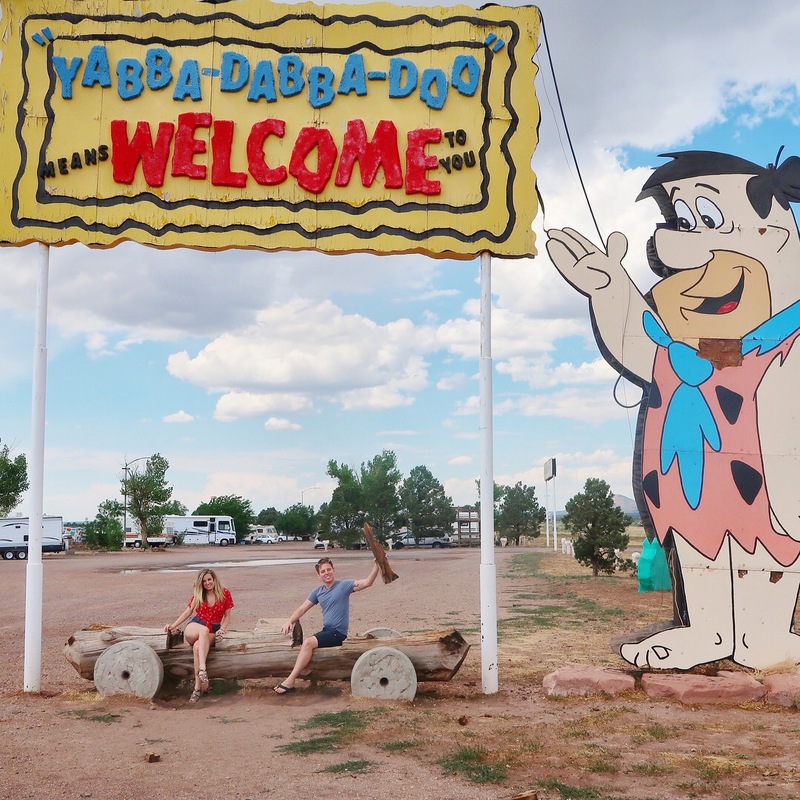 Bedrock City actually located in Williams, Arizona is about 30 minutes away from the Grand Canyon. It’s the perfect addition to add to your Grand Canyon trip. It’s actually a campground you can stay at if you wanted to. From the outside it just looks like a little store and a place to take a few photos, but once you walk inside you realize there is so much more! I’m always one to explore so my boyfriend and his brother came inside with us when we realized behind the shop is THE ACTUAL BEDROCK CITY! It only cost $5 per person to explore the town so we went in! And wow, Bedrock did not disappoint! Everyone was there, Barney, Betty, Fred, Wilma! 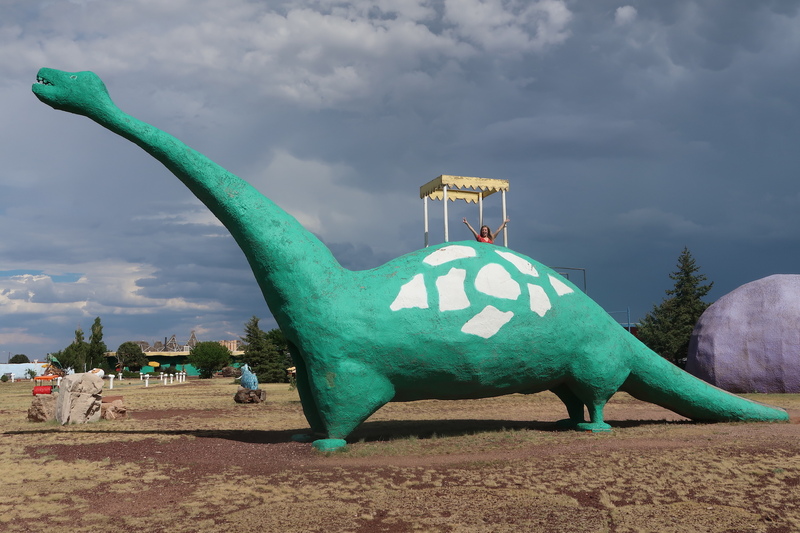 The entire town was built it even had a giant dianosaur slide. Instantly I was a kid again, playing, using my imagination without a care in the world. It just goes to show you that if you take the opportunity to explore and be spontaneous, even if it’s something small like finding a cool place on the side of the road, you can have the best time and make amazing memories. So next time you see something take that chance and explore it. You have nothing to lose! Comment below a similar experience you had! 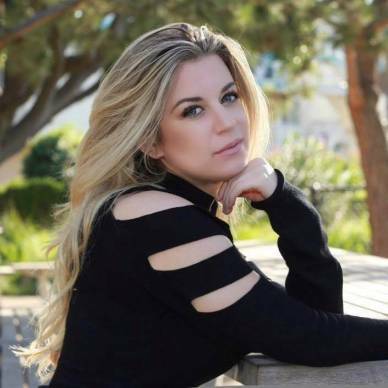 And don’t forget to Subscribe to Dose Of Bliss for more motivational & lifestyle posts!